Click here to download a PDF of the Practice SAT Chemistry Subject Test 1. You are about to take the first of three practice SAT Chemistry Subject Tests. 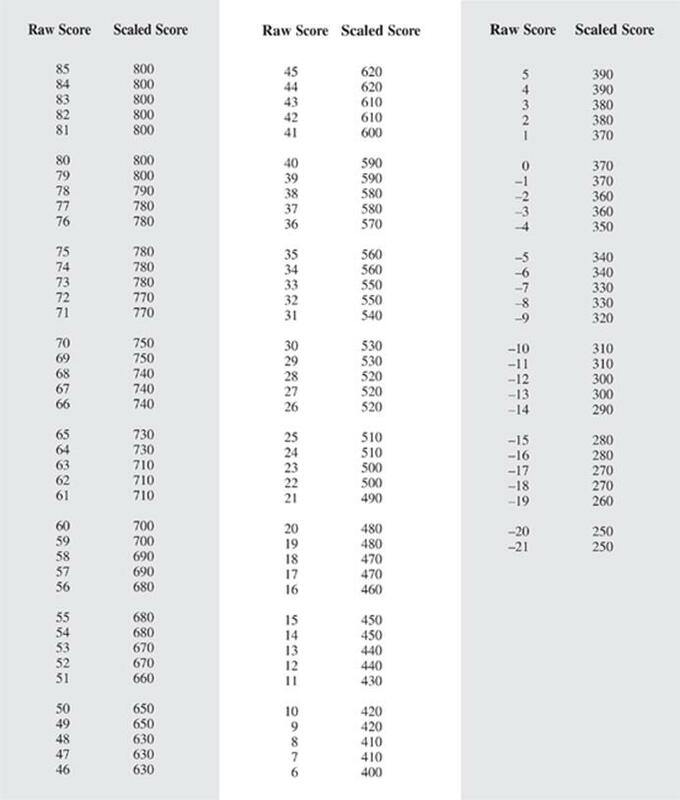 After answering questions 1–23, which constitute Part A, you'll be directed to answer questions 101–116, which constitute Part B. Then you will begin again at question 24. 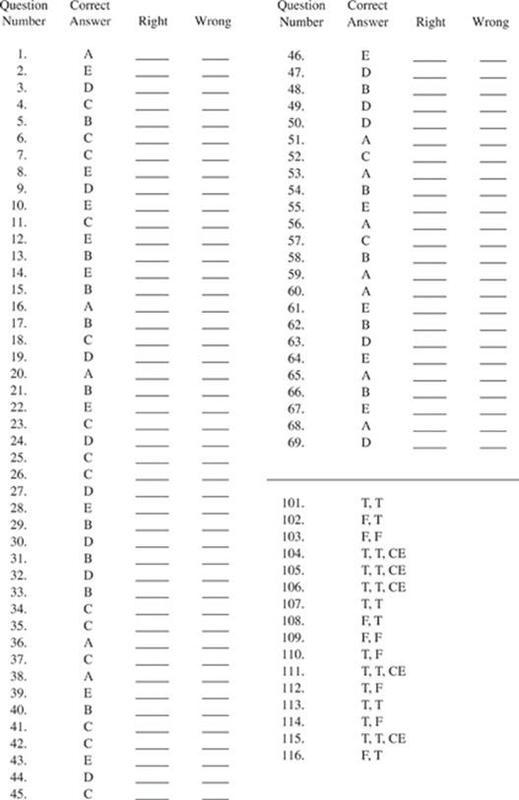 Questions 24–69 constitute Part C.
Questions 17–20 refer to the following. 24. What is the number of protons and neutrons in an atom with mass number 89 and atomic number 39? 26. Which of the following is closest in mass to a proton? 27. What is the approximate percentage composition by mass of the element oxygen in the compound HClO4? 30. What is the oxidation state of chromium, Cr, in the compound potassium dichromate, K2Cr2O7? 33. When 190 grams of MgCl2 are dissolved in water and the resulting solution is 500 milliliters in volume, what is the molar concentration of MgCl2 in the solution? 35. In 12.4 hours, a 100 gram sample of an element decays so that its mass is 25 grams. What is the approximate half-life of this radioactive substance? 37. A compound with a molecular weight of 56 amu has an empirical formula of CH2. What is its molecular formula? 39. When the equation for the reaction above is balanced, how many moles of NF3 would be required to react completely with 6 moles of H2O? 40. Which characteristic is associated with bases? 42. Which of the following forward processes produces a decrease in entropy? 43. Which of the following will raise the boiling point of a sample of water? 46. Which of the following solids has a brilliant blue color? 47. 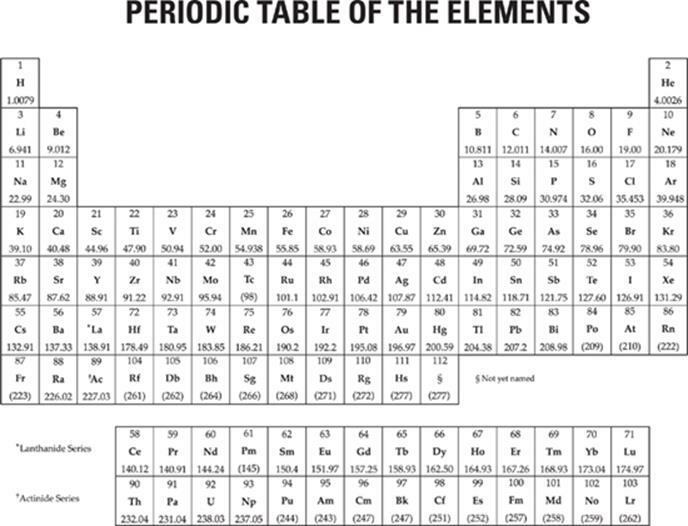 Twenty-five percent of element X exists as 210X and 75 percent of it exists as 214X. What is the atomic weight of element X in amu? 48. A 600-milliliter container holds 2 moles of O2(g), 3 moles of H2(g), and 1 mole of He(g). Total pressure within the container is 760 torr. What is the partial pressure of O2? 50. Which of the following electron configurations represents an atom of magnesium in an excited state? 53. Which species has the ground state electron configuration 1s22s22p63s23p6? 54. Which of the following species is amphoteric? 55. An ideal gas has a volume of 10 liters at 20°C and a pressure of 750 mmHg. Which of the following expressions is needed to determine the volume of the same amount of gas at STP? Questions 56–57 pertain to the phase diagram for substance Z below. 56. Substance Z is at 0.5 atm and 200 K. If the pressure on substance Z is steadily increased and its temperature is kept constant, what phase change will eventually occur? 59. What volume of 0.4 M Ba(OH)2 (aq) is needed to exactly neutralize 100 milliliters of 0.2 M HBr(aq)? 60. Which of the following is true regarding the aqueous dissociation of HCN, Ka = 4.9 × 10–10 at 25°C? III. HCN(aq) is a strong acid. 61. Which of the following atoms has the largest second ionization energy? 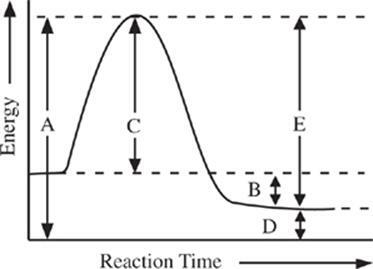 Question 62 refers to the overall reaction and half-reactions with standard reduction potentials below. 63. The reaction of zinc metal, Zn, and hydrochloric acid, HCl, produces which of the following? Questions 64–66 refer to the following reaction. 65. Which of the following is increased by decreasing the volume of the reaction system? 66. When 3 moles of Fe2O3 are allowed to completely react with 56 grams of CO according to the above equation, approximately how many moles of iron, Fe, are produced? 68. Which of the following molecules has the strongest carbon-to-carbon bond? 69. 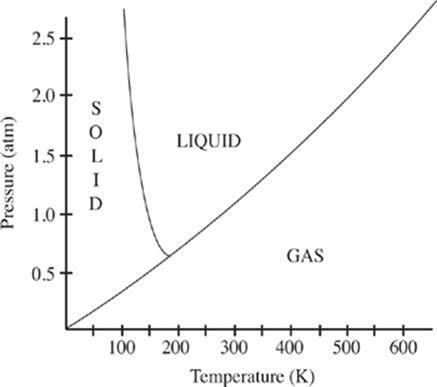 If the experiment was carried out in a closed system at constant temperature, then during which time interval (from the start of the experiment) did the reaction most likely achieve equilibrium?